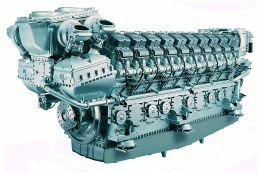 Trying to get things straight about superyacht engines is a difficult matter, due to a series of reasons I'll try in any case to explore, for better or worse, and measure their influence. Firstly a definition: what is meant by superyacht is the first thing we have to evaluate in order to define the engines to be considered. When you look up "yacht" in a dictionary you find the definition "small vessel for brief pleasure sailing", or "pleasure craft". More or less everybody agrees about the pleasure although at certain levels and certain vessel sizes "pleasure" begins to be only a classification rather than a differentiation of merit. What has changed with time however is the conception: from a vessel exclusive to kings and magnates we have gradually reached the current definition which broadens the income level of owners and the variety of sizes to include all vessels that permit a certain degree of comfortable on-board life. In the 1960's a 6 or 7 metre vessel was fine. Today it has to be double that. It follows that the name superyacht refers to vessels that are superior in terms of speed and liveability. So apart from a scant group of sailing superyachts, whose performances can only come under displacement speeds, when we speak of superyachts we generally mean high powered vessels, always with twin engines or more, that can plane notwithstanding the considerable length of the hull: and this is not a trifling thing, because it is bound to the laws of fluid dynamics which in turn depend on hull length. Just to give an example: in order to plane, a 16 metre vessel must exceed the critical speed of the wave it produces, a speed which physics establishes as equal to the result (in metres per second) of around 1.25 times the square root of 16 (the length): i.e. 6 metres/second or, if you like, 18 kph. At this speed of about 10 knots a 25 metre vessel is still displacing, since in order to plane it must exceed 12 knots. So the calculations can be made quickly, and we don't want to bore readers with their complexity: we merely want to point out that for every given speed the power must supply a working thrust (therefore net of efficiency and loss regarding the engine, the transmission and the propellant, be it jet or screw) that exceeds the sum of the three resistances due to wave form, hull-water friction and air friction on the topsides and superstructures. Just to be practical, in considering engines we may fix powers of 400 HP upwards. We obviously suppose that such power will be delivered by diesels that are widespread on the market. It is true that with this order of size we should also consider gas turbines but we prefer to leave them out due to their cost, their relative unavailability and the different nature of their functioning: they in fact supply a rotating motion that does not require alternative masses and therefore can reach very high power without any problems, and they take up little space, but they approach aircraft technology and therefore require specifically trained personnel. We've seen plenty of turbines but have never tested one. The yard designer decides on the power of the engines to be installed, which respond to the performances requested by or guaranteed to the skipper. By experience or analogy - sometimes by calculation - the designer knows how much HP is needed on board to shift planing hulls that in the simplest case weigh about ten tonnes: too much HP would be too much weight and cause too much stress, high fuel consumption and therefore less range; too little would result in less satisfactory performance and a strain on the engines that reduces reliability. Now if on the one hand it is true that the computer can simulate all conditions, it is also true that these studies, when they have to overcome formulations deemed generally convenient for naval architecture, become long and costly. Wind tunnels can simulate real conditions for cars and planes - it is only air that the forms have to penetrate - but boats, as we said, have to penetrate air and water with the complication of wave resistance. There are no experimental tests to be done on life size models, so tests in the water have to be attempted subsequently. If it is plausible that such tests may be done when costs can be spread over a considerable number of examples produced, it is highly improbable that it should be feasible to do so with large vessels when the shipbuilder is not certain whether he will make more than a one- off. And the more super the yacht, the more this certainty diminishes. Unless everything is geared towards a precise project, such as winning the Nastro Azzurro: all the studies and experimentation for Destriero came under the heading of a particular investment which, however, went beyond pleasure sailing in a commercial sense. Obviously the studies for Destriero gave a lot of information for building pleasure craft, but it is unthinkable that a yard could make huge investments to satisfy the requirements of customers who, generally speaking, are not willing to pay for them. Why are we saying all this? Because the more a yacht is super, the more the skipper wants it adapted to his own tastes and needs. In other words, to have something exclusive: sometimes it is the skipper who supervises the design and, with the yard, chooses the solutions to be implemented. But one must be very careful not to condition the yard with choices which it is not contractually bound to satisfy. In order to take advantage of the European Directive which makes the final supplier responsible for all components installed, the contract must not include references to precise customer instructions. So in the case of engines the skipper may express a preference with regard to power or brand, but he must be sure that the yard formalises this as its own choice and not as something imposed by the customer. 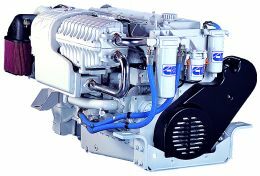 But what are the criteria guiding choices or preferences regarding superyacht engines? We have always maintained that when you go beyond the power of a little outboard, no trial, even if carried out by an expert and competent technician, can supply information valid for making a choice. Sometimes even tests on small engines are not so informative, if we take two considerations into account: In the absence of instrumental data collected directly by the tester, nothing can be taken as certain and the trial becomes the superficial impression of a boat trip where you shoot along a bit, just to strike an attitude: and in the case of engines, everything is conditioned by the boat they're installed on, a hull which inevitably, and erroneously, is included in the evaluations made regarding noise, consumption and speed. And speed, for example, is the only datum we can measure directly with certainty, using radar or GPS: because noise is usually strongly influenced by the shape, nature and soundproofing of the engine room. And this to such an extent that in general, even if not much is gained, we ask to test an engine with the engine room door open, when it is possible to do so safely. A manufacturer who invites technicians and journalists to a trial has the chance to "prepare" the engine in such a way as to obtain performances beyond criticism: and I am not out to offend manufacturers by accusing them of "fixing" trials. But I believe it is fairly common to exploit product knowledge and technical skill to reduce the influence of defects and increase the effect of attributes. The present writer speaks from long experience as Quality manager for Alfa Romeo: when a new car is presented to the press, the models given to journalists are part of a special internal mission that spends several months investigating all possible points that might arouse criticism and seeking to eliminate their effects, with actions that in the end make the test cars unique models, far from what the customer gets when he buys from a dealer. 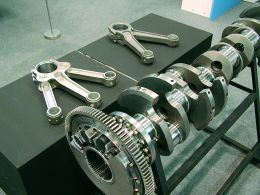 Contrarily, it should be said that the greater the power of the engine, and therefore the fewer units produced, the more likely it is that each individual engine receives the same care as the test version. Which trials can be trusted? Which trials on the water can give us valid information? In order to answer we have to subdivide the meanings deriving from the reply: no trial can tell us about engine reliability, and we shall see later how to get an idea of this. Performances however can have a meaning that is greater than a skin deep impression only if they are carried out by comparison. For example Volvo Penta, which invites journalists to its yachting base in Gothenburg every year to see the latest products, uses a very reliable and almost wholly credible system: comparative testing. 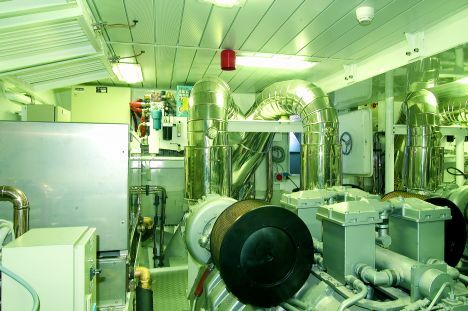 On two identical models of boat, different engines or transmission solutions are mounted: the comparative test is strongly and clearly indicative of the differences, and since all the engines are Volvo Penta it is difficult, although it cannot be excluded, to presume any particular self-serving interests. With this kind of test we were shown the overwhelming performances of the IPS transmission which Volvo Penta presented last year in Palma, Majorca: we consider this type of testing credible because it never involves the competition. Another test that impressed us very favourably was with Yanmar engines: nothing to do with the measurements or surveys that the company's technicians were on board to carry out. But it was the first installation on board of a new model of engine presented in preview shortly before at the Boat Show. We reported it to our readers, and an invitation of this kind can only be positively evaluated: because taking aboard, on the first trial, a technician who is also a journalist is something done only by those who have so much faith in their product that they do not doubt it will function well. And the first sea trial was done with a non- soundproofed hull and an engine room without doors: we left the Swedish technicians to measure performances, noise and consumption, convinced as we were, and are, that those are the parameters given in the definitive illustrative brochures. The diagram at the side configures world production data with regard to world producers: an enormous quantity of diesels. Total production of 3.3 million diesel engines a year may be merely a number: but try to imagine what it means to produce, distribute and sell 10.000 diesels a day, one every 5 or 6 seconds. In first place are Cummins and certain Joint Ventures that have distinguished it (i.e. with Mercruiser in CMD). Then the Daimler Chrysler group with MTU, Detroit Diesel and our VM. They are followed by Caterpillar (with Perkins and Mak), IVECO, Maxion and Navistar, John Deere, Volvo (with Renault Veicoli Industriali and Mak), Deutz , and... others. On the one hand there is the temptation to see the accumulation of experience that these companies continue to augment as a positive fact, leading to greater choice: certainly the idea of entrusting things to companies with such impressive figures may be a strong and not so unjustified temptation. But first we must make all possible considerations, not only about the advantages but also the disadvantages of a judgement based on figures. 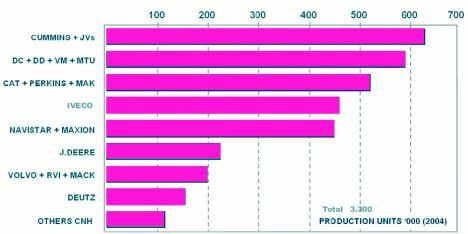 Just to begin, let us note that the list shows the sum of all diesel engines of all powers and for all uses. So if it's true that every experience counts, it's also true that small engines - for agricultural pumps, land clearance and lawnmowers - have little to do with big marine engines for superyachts. In certain cases there are brand names on the list that are unknown in the yachting world because they build engines, albeit powerful, for transport vehicles. 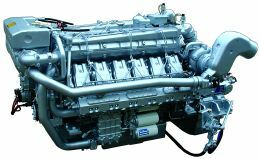 It doesn't mean that experience gained on the world's roads is less significant, also with view to marine purposes: many of the big engines used in yachting have been tried and tested on industrial or commercial vehicles. However it may mean that production in the yachting field, precisely due to the low numbers involved, is considered marginal and not very profitable, and therefore neglected in favour of the primary aims of the company's mission (a concept we shall return to later). But if you think that the roughly 120.000 diesels/year under the item "others" includes brands like the Italian Isotta Fraschini, CRM, Seatek, like the French Baudouin and the Danish Yanmar, you will soon realise that we also need to consider companies whose figures are perhaps much lower but who have chosen a more important nautical mission such as the professional, military, sport and competition sectors. Or simply companies who base their survival on the prestige of quality at all costs: if in fact an engine breakdown is only a limited problem for a company selling 500 or 1000 engines a day, for a company selling just a few dozen a year it is a risk that cannot be run. A look at the smaller companies also establishes a different kind of relationship between skipper and builder: though legal responsibility lies with the yard that installed the engine on a vessel it sold, the possibility of getting the designer on the phone may in some cases be an extremely interesting proposition. The present writer, in an official capacity, once had the chance to visit Rolls Royce where a complete dossier accompanies every car throughout its life, from the assembly line on: the dossier records all the owner's tastes, all observations made or received, all the checks, all the changes of ownership. Try getting that with a mass produced saloon, even a prestige, high class car! We don't mean by this that companies producing less produce better quality; research, experimentation and technological investments are accessible only to big companies: but in general, the closer we come to craftsmanship, the more quality becomes a personal asset rather than the result of an industrial process: only the skipper can decide what is best for him.